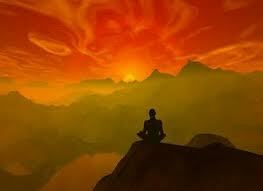 In Quantum "Self" Recovery, meditation is the foundation of our practice. It is in this practice that we become familiar with being present, utilizing mindfulness, and experiencing compassion. Meditation is a method to develop the mind. The emphasis is on concentration, focus, clarity, calmness, and insight. There are different techniques; most of them are easy to learn and very useful in daily life. The purpose of Insight Meditation is not to create a system of beliefs, but rather to give guidance on how to see clearly into the nature of the mind. In this way one gains first-hand understanding of the way things are, without reliance on opinions or theories - a direct experience, which has its own vitality. It also gives rise to the sense of deep calm that comes from knowing something for oneself beyond any doubt. The term Insight Meditation refers to practices for the mind that develop calm through sustained attention and insight (vipassana) through reflection. A fundamental technique for sustaining attention is focusing awareness on the body; traditionally, this is practiced while sitting or walking. This guide begins with some advice on this technique. Focusing the mind on the body can be readily accomplished while sitting. You need to find a time and a place which affords you calm and freedom from disturbance. A quite room with not much in it to distract the mind is ideal. Timing is also important. It is not especially productive to meditate when you have something else to do or when you're pressed for time. It's better to set aside a period - say in the early morning or in the evening after work-when you can really give your full attention to the practice. Begin with fifteen minutes or so. Practice sincerely with the limitations of time and available energy, and avoid becoming mechanical about the routine. Meditation practice, supported by genuine willingness to investigate and make peace with oneself, will develop naturally in terms of duration and skill. The development of calm is aided by stability, and by a steady but peaceful effort. If you can't feel settled, there is no peacefulness; if there is no effort, you tend to daydream. One of the most effective postures for the cultivation of the proper balance of stillness and energy is the sitting posture. Use a posture that will keep your back straight without strain. A simple upright chair may be helpful, or you may be able to use the lotus posture. These postures may look awkward at first, but in time they can provide a unique balance of gentle firmness that gladdens the mind without tiring the body. If the chin is tilted very slightly down this will help but do not allow the head to loll forward as this encourages drowsiness. Place the hands on your lap, palm upwards, one gently resting on the other with the thumb-tips touching. Take your time and get the right balance. Now, collect your attention, and begin to move it slowly down your body. Notice the sensations in each part of your body. Relax any tensions, particularly in the face, neck and hands. Allow the eyelids to close or half close. Investigate how you are feeling. Are you expectant or tense? Then relax your attention a little. With this, the mind will probably calm down and you may find some thoughts drifting in - reflections, daydreams, memories, or doubts about whether you are doing it right! Instead of following or contending with these thought patterns, bring more attention to the body, which is a useful anchor for a wandering mind. Cultivate a spirit of inquiry in your meditation attitude. Take your time. Move your attention, for example, systematically from the crown of the head down over the whole body. Notice the different sensations - such as warmth, pulsing, numbness, and sensitivity - in the joints of each finger, the moisture of the palms, and the pulse in the wrist. Even areas that may have no particular sensation, such as the forearms or the earlobes can be "swept over" in an attentive way. Notice how even the lack of sensation is something the mind can be aware of. This constant and sustained investigation is called mindfulness (sati) and is one of the primary tools of Insight Meditation. First, follow the sensation of your ordinary breath as it flows in through the nostrils and fills the chest and abdomen. Then try maintaining your attention at one point, either at the diaphragm or - a more refined location - at the nostrils. Breath has a tranquilising quality, steady and relaxing if you don't force it; this is helped by an upright posture. Your mind may wander, but keep patiently returning to the breath. It is not necessary to develop concentration to the point of excluding everything else except the breath. Rather than to create a trance, the purpose here is to allow you to notice the workings of the mind, and to bring a measure of peaceful clarity into it. The entire process - gathering your attention, noticing the breath, noticing that the mind has wandered, and re-establishing your attention - develops mindfulness, patience and insightful understanding. So don't be put off by apparent "failure" - simply begin again. Continuing in this way allows the mind eventually to calm down. If you get very restless or agitated, just relax. Practice being at peace with yourself, listening to - without necessarily believing in - the voices of the mind. Cultivating goodwill (metta) gives another dimension to the practice of Insight. Meditation naturally teaches patience and tolerance or at least it shows the importance of these qualities. So you may well wish to develop a more friendly and caring attitude towards yourself and other people. In meditation, you can cultivate goodwill very realistically. Focus attention on the breath, which you will now be using as the means of spreading kindness and goodwill. Begin with yourself, with your body. Visualise the breath as a light, or see your awareness as being a warm ray and gradually sweep it over your body. Lightly focus your attention on the centre of the chest, around the heart region. As you breath in, direct patient kindness towards yourself, perhaps with the thought, "May I be well", or "Peace". As you breathe out, let the mood of that thought, or the awareness of light, spread outwards from the heart, through the body, through the mind and beyond yourself. "May others be well". If you are experiencing negative states of mind, breathe in the qualities of tolerance and forgiveness. Visualizing the breath as having a healing colour may be helpful. On the out-breath, let go of any stress, worry or negativity, and extend the sense of release through the body, the mind, and beyond, as before. This practice can form all or part of a period of meditation - you have to judge for yourself what is appropriate. The calming effect of meditating with a kind attitude is good for beginning a sitting but there will no doubt be times to use this approach for long periods, to go deeply into the heart. Always begin with what you are aware of, even if it seems trivial or confused. Let your mind rest calmly on that-whether it's boredom, an aching knee, or the frustration of not feeling particularly kindly. Allow these to be; practice being at peace with them. Recognise and gently put aside any tendencies towards laziness, doubt or guilt. Peacefulness can develop into a very nourishing kindness towards yourself, if you first of all accept the presence of what you dislike. Keep the attention steady, and open the heart to whatever you experience. This does not imply the approval of negative states, but allows them a space wherein they can come and go. Generating goodwill toward the world beyond yourself follows much the same pattern. A simple way to spread kindness is to work in stages. Start with yourself, joining the sense of loving acceptance to the movement of the breath. "May I be well." Then, reflect on people you love and respect, and wish them well, one by one. Move on to friendly acquaintances, then to those towards whom you feel indifferent. "May they be well." Finally, bring to mind those people you fear or dislike, and continue to send out wishes of goodwill. Kindness and compassion originate from the same source of good will, and they broaden the mind beyond the purely personal perspective. If you're not always trying to make things go the way you want them to: if you're more accepting and receptive to yourself and others as they are, compassion arises by itself. Compassion is the natural sensitivity of the heart.